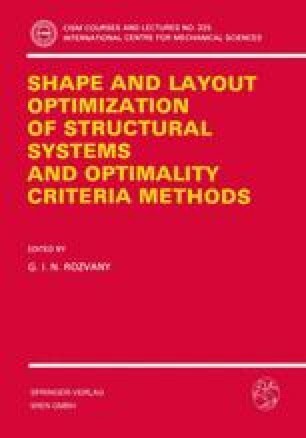 Shape optimization with the Boundary Element Method, see [01,02,04,08,09] has great advantages compared to the Finite Element Method based shape optimization. For linear problems, we have to discretize only the surface of the body. This means that the dimension of the problem is reduced by one and a re-zoning process for the internal nodal points is not necessary. Additionally, we have a higher sensitivity of displacement and stress fields to geometrical disturbances. These advantagas make the BE method more attractive for shape optimization than the FE method, especially when three-dimensional poblems are involved, see .